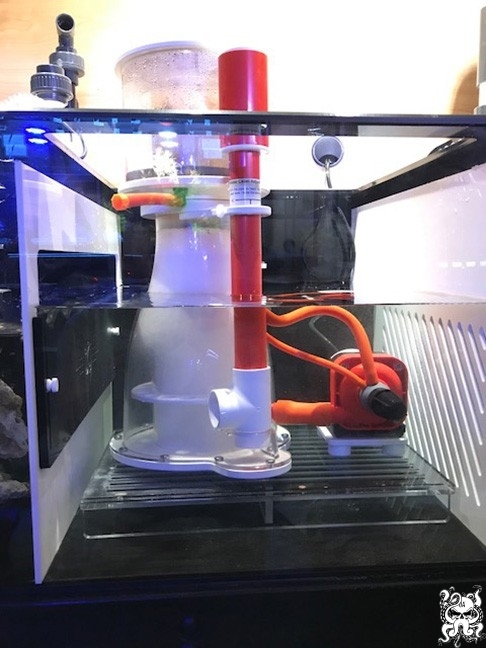 Fabricated out of 3/8″ clear acrylic, these skimmer stands can be any size and height you want! The adjustable stands have a range of 2.5″ – ex: 1″ – 3.5″, 2″ – 4.5″, etc. Skimmer stands 4″ and taller will be shipped unassembled. You will need to cement the legs on with acrylic cement, such as: Scigrip 3/4, 16 or Craftics 33. Adjustable stands are $50 per sq ft (plus shipping), up to 6″ tall max. As stated above, the range can only be 2.5″. Taller stands above 6″ are available for a custom price. Min $50. Static stands are $25 per sq ft (plus shipping), up to 6″ tall max. Taller stands are available for a custom price. Min $25. Length” x Width” / 144 = sq ft.